Who doesn’t love a good animal print? Maybe I’ve been watching too many episodes of the Real Housewives lately (everyone seems to be walking around in leopard this season!) 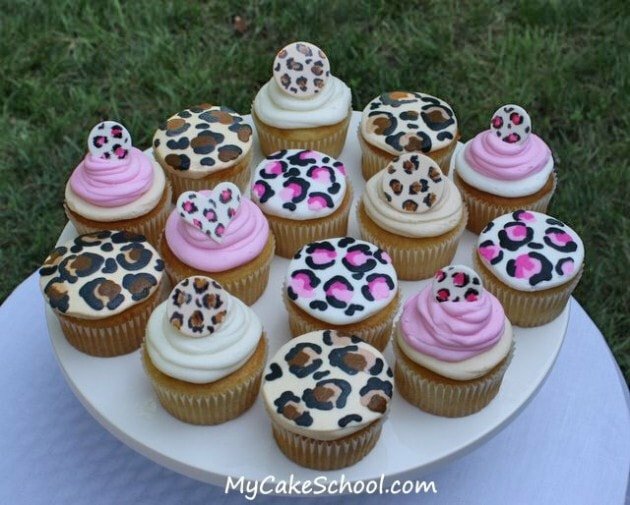 –but I decided that today was the perfect day to jump into the wonderful world of leopard print cupcakes!!! 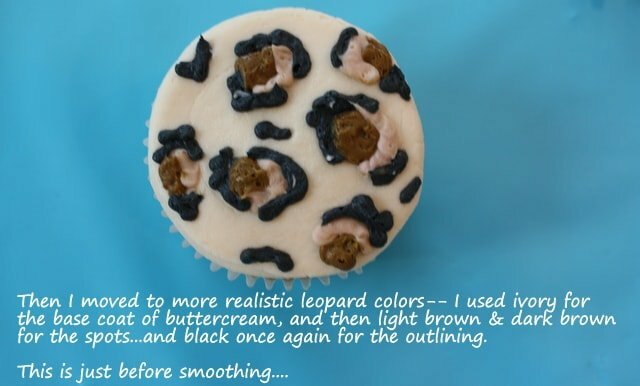 I know that I say this a lot…but these adorable leopard print buttercream cupcakes really are not as hard as you would think to pull off! 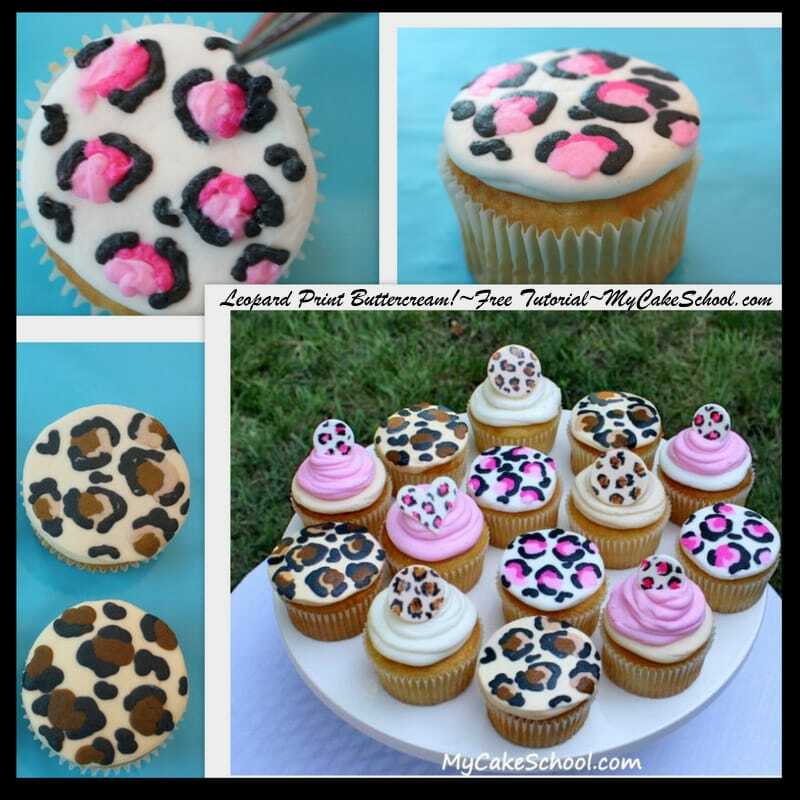 Leopard print buttercream and leopard print cake toppers will lend themselves to so many FUN cake decorating and party themes! Let’s get started on our cupcakes! 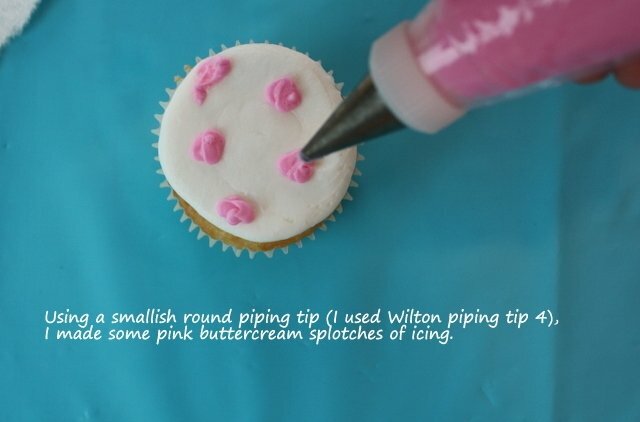 I piped a quick spiral of crusting vanilla buttercream onto my cupcakes using a Wilton tip 12. 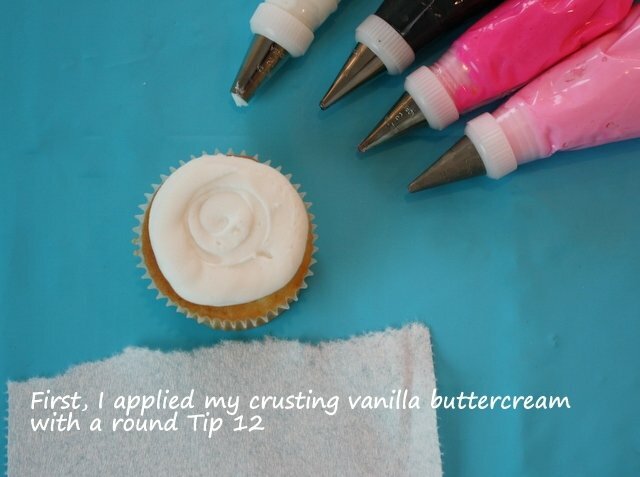 Allow to sit for about 3-5 minutes or until you can lightly touch the frosting without any coming off. The buttercream should develop a light crust. Then it’s time to smooth! 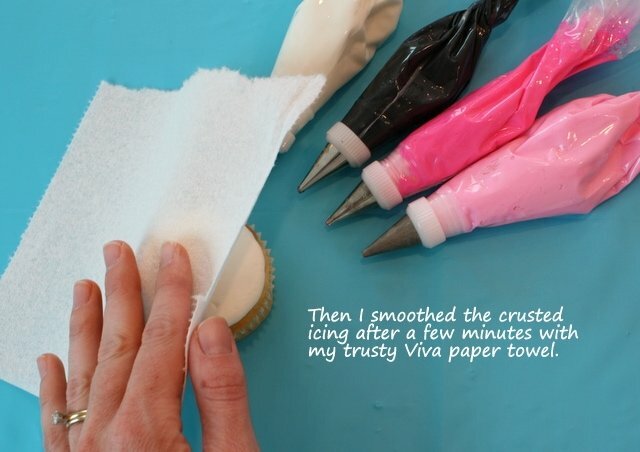 We like to use Viva brand paper towels because they do not have any quilting or impressions. Next, a darker shade of pink. *I wanted to mention that if you are working with a non-crusting buttercream, this pattern still looks great with texture! Since I’m working with a crusting buttercream, I’m going with a smooth look but both options work perfectly. 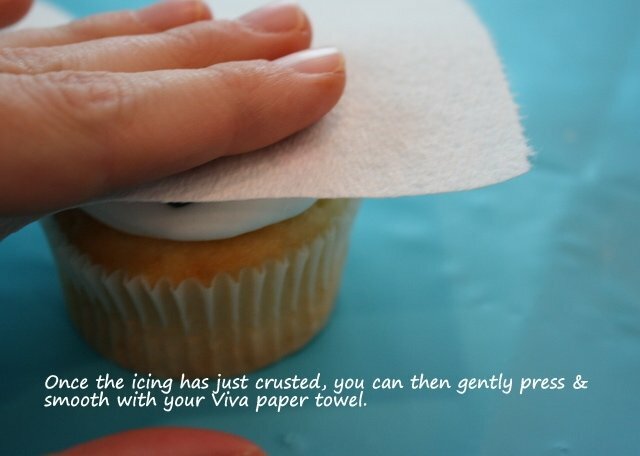 As you work on spotting all of your cupcakes, you can circle back with a Viva paper towel as the first cupcakes begin to crust. 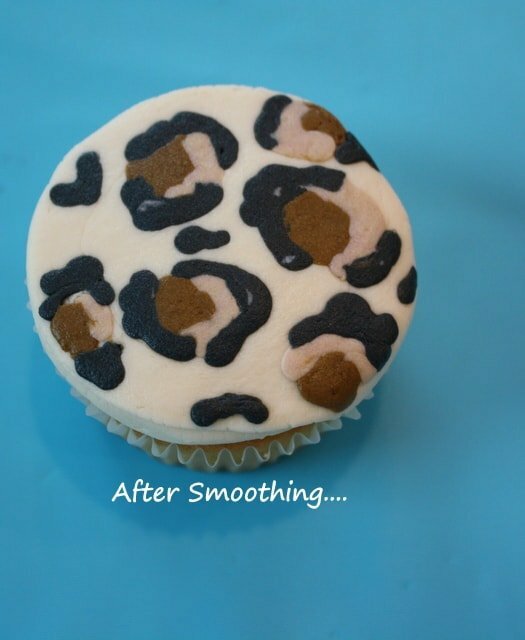 Ahhhh…I love this smooth leopard buttercream finish! Next, I did the same but with a different color scheme. Here’s a look at the difference between using three accent colors vs. two accent colors. I like both designs! Just go with what works best for you. Sometimes I like to add fondant cake toppers. 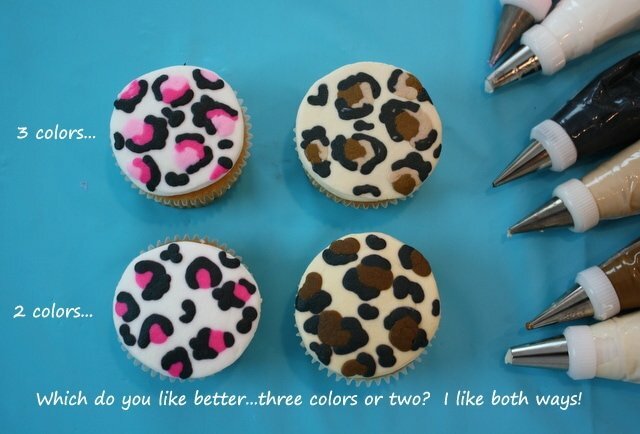 These painted leopard accents are so simple to make! For my paint, I mixed a bit of coloring gel with vodka and applied as if working with watercolor paints. 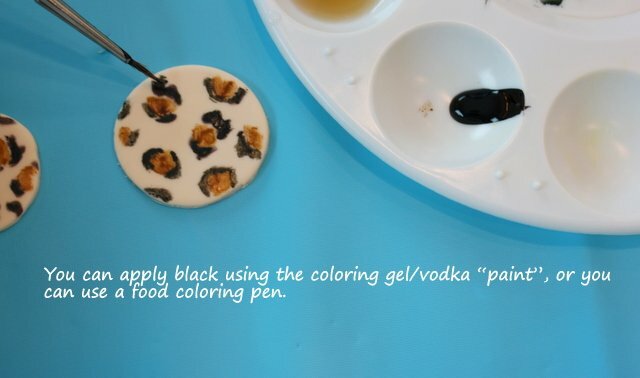 The vodka allows the paint to dry very quickly. 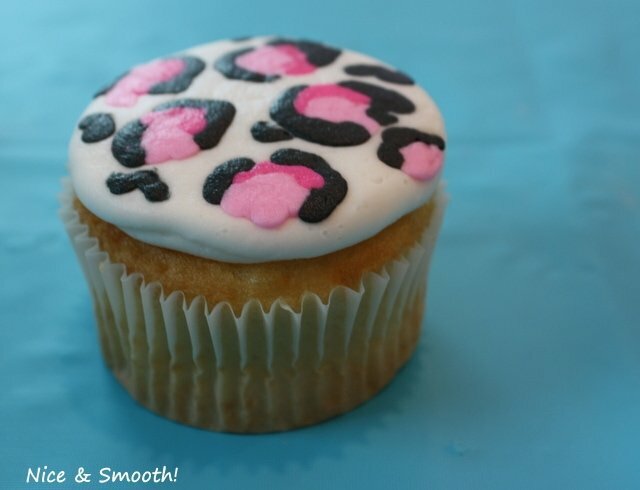 Aren’t these leopard print cupcake toppers the cutest?! And finally….here’s the entire platter! I love these cupcakes. They are so much fun to make, and would be perfect for jungle or safari themed parties, fashion themes, “Wild About You” themes or even “Born to Be Wild” baby showers! Isn’t it nice when we can find a pattern that kids and adults will love?! Make sure to scroll below for a few notes about our favorite crusting buttercream recipes. Thanks for stopping by! In this tutorial, we used our Fluffy Vanilla Buttercream Frosting, which is a great option when you need a crusting buttercream. The recipe is lighter in color than our Classic Vanilla Buttercream (which we also love). The reason for the difference in brightness is that the Fluffy Vanilla Buttercream recipe contains shortening in addition to butter. Another option for a crusting vanilla buttercream is our High Ratio Frosting recipe. This recipe is the brightest white of all because it is shortening based. This is a good choice for times when the weather is very warm and you need a frosting that can hold up a bit better in warmer temperatures. All three of these crusting vanilla frostings are great to have in your recipe box. They all taste great, pipe beautifully and smooth very easily! Hi Eish, Your ratio of fat to sugar should give you a crusting buttercream. 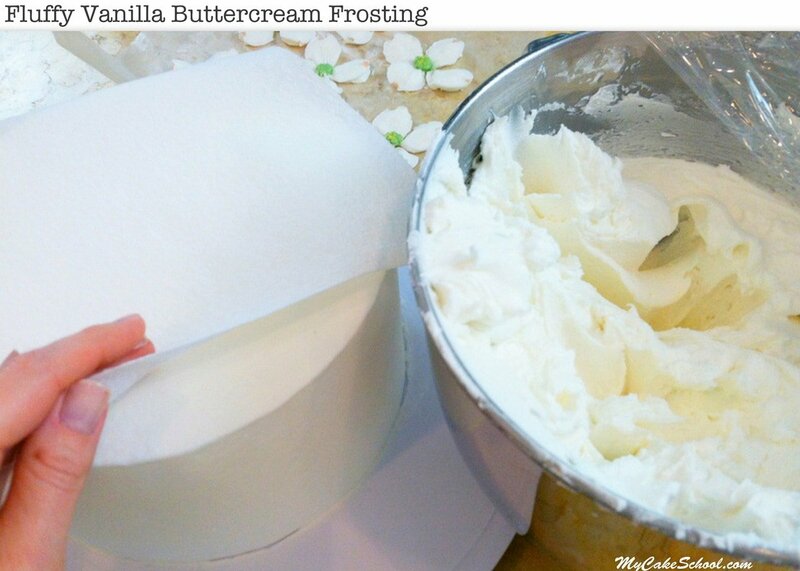 If your cake or cupcakes are cold (partially frozen) it will take many hours for the buttercream to crust. Is this a possibility? When you do the fondant cutouts on top, do you mix it with gumpaste, or i ut jut fondant? If it is just fondant do you let it sit out so that it can harden. Just wondering how you get it to stand up? Hi Danielle, you can look above the picture for a quick description of the process. 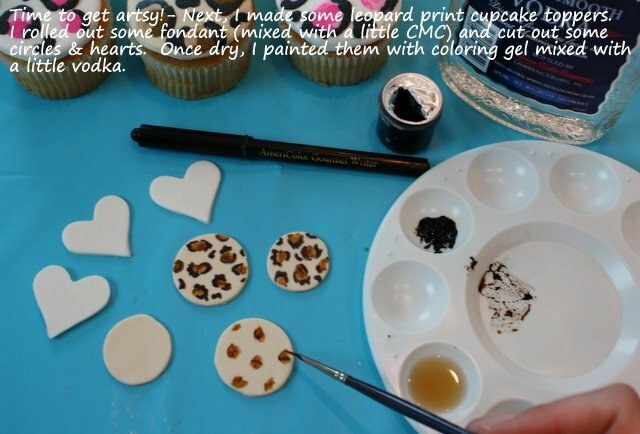 Melissa used CMC powder in the fondant, it is a powder that makes fondant more like gumpaste. You could use straight fondant, it would just take longer to dry. How do you get the buttercream frosting to crust? I make buttercream following the recipe in my Wilton book. 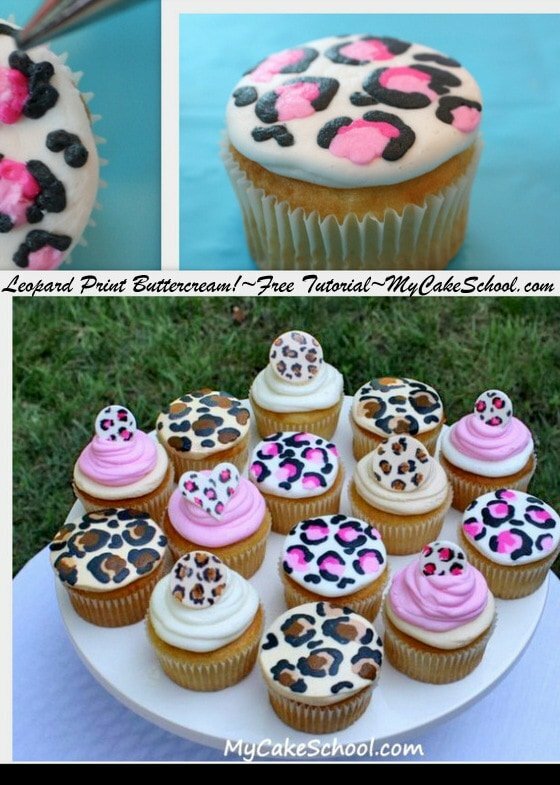 Love these cheetah/leopard cupcakes. Thank you!! Hi Char–Just letting the icing sit out for maybe 5-10 minutes should be enough time for the icing to crust. I’ve never used Wilton’s recipe but I’m pretty sure that it is a crusting recipe. The biggest advice that I can give is to frost your cupcakes at room temperature. Frosting cold cupcakes leads to condensation, which often prevents crusting (or delays it for a very long time.) — Very humid conditions can lengthen the amount of time before crusting also–hope this helps! Hi Melisa and MH, To achieve the brown and tan buttercream frosting, I start with white buttercream, it can be the same buttercream you are frosting the cupcakes with. 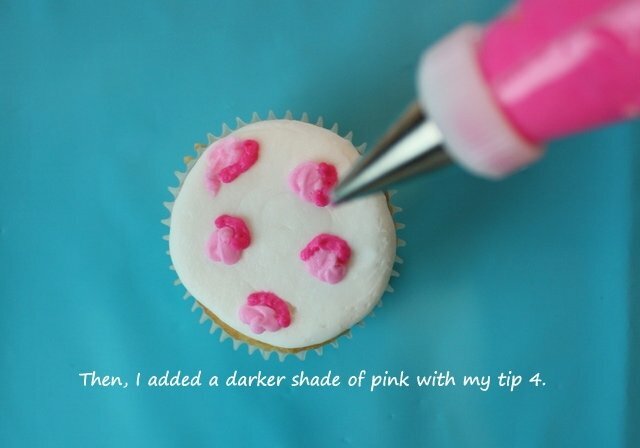 Take out a small amount of buttercream and add a tiny dot of brown gel food color to achieve tan. We use AmeriColor Gel coloring…….use the end of a toothpick to add the gel color. You would just add more brown gel color to get the brown color you desire. MH, AmeriColor can be ordered from http://www.globalsugarart.com or google to find the best price. Hi, great recipe. 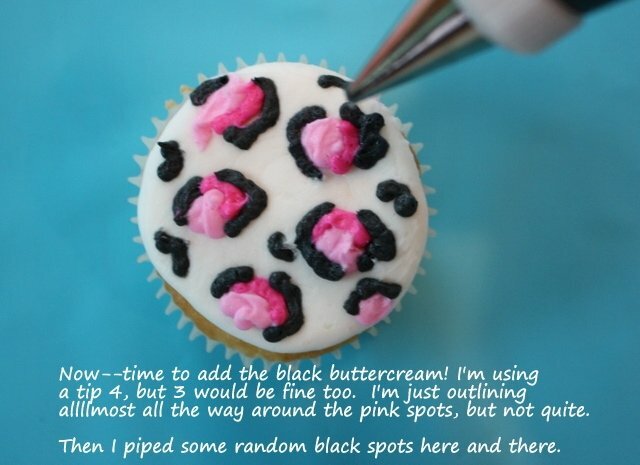 Do you use crusting buttercream for the design on top too?